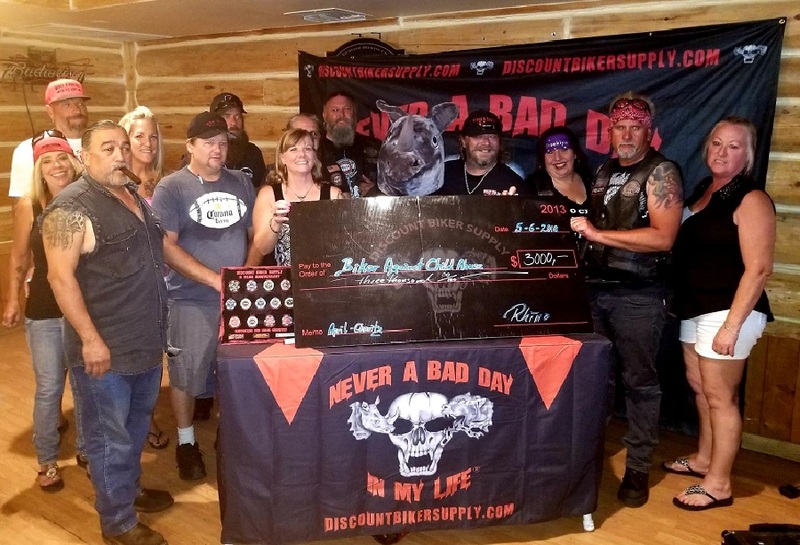 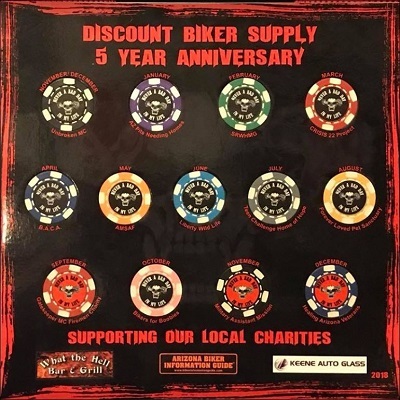 Thank you for expressing an interest in learning more about what Discount Biker Supply is doing for some of the local charities. 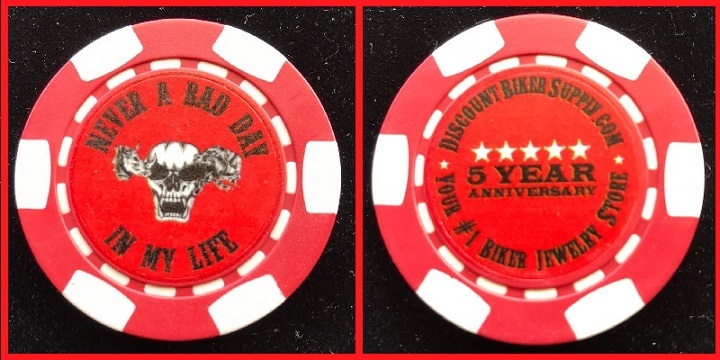 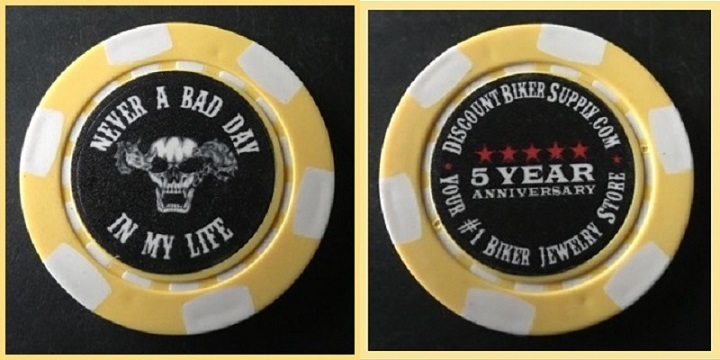 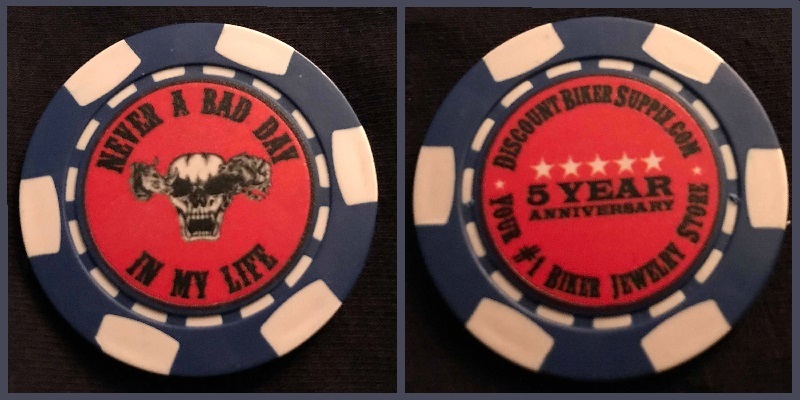 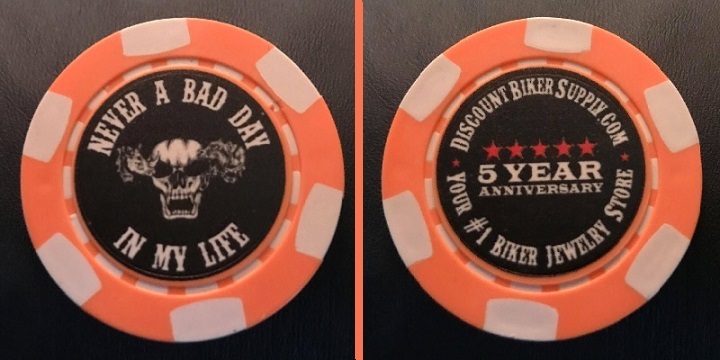 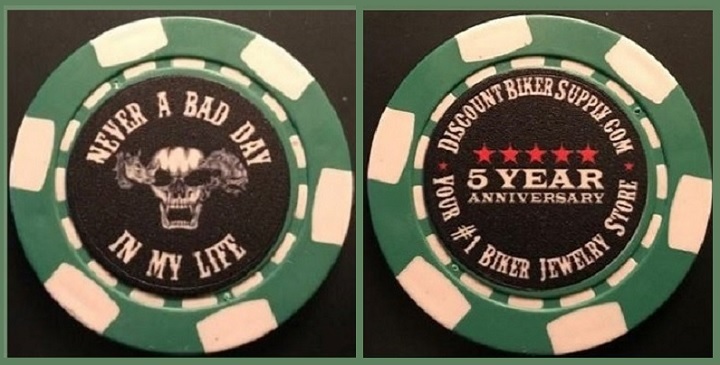 Everything started out with a conversation between the owners of DBS, Rhino and Tracie, on how they should celebrate the 5-year anniversary of Discount Biker Supply. 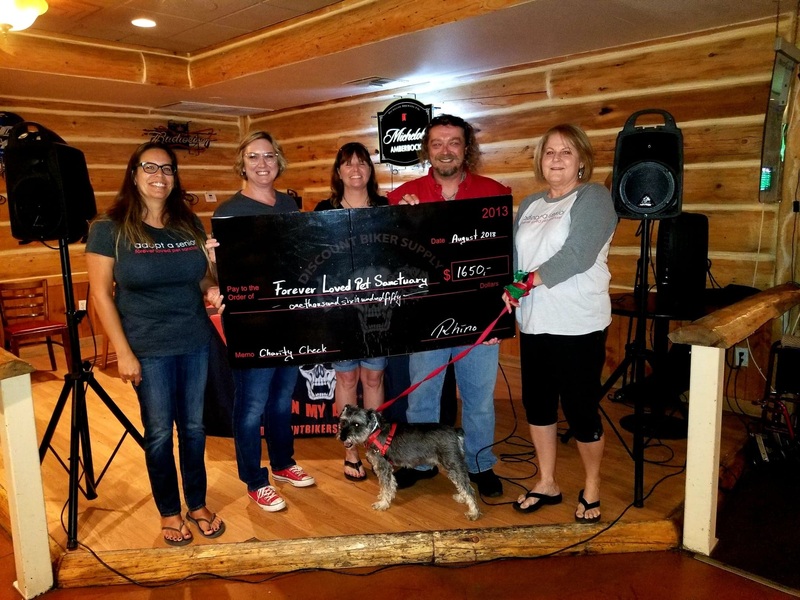 After going back and forth with numerous ideas, Tracie said, "Why not donate to local charities?" 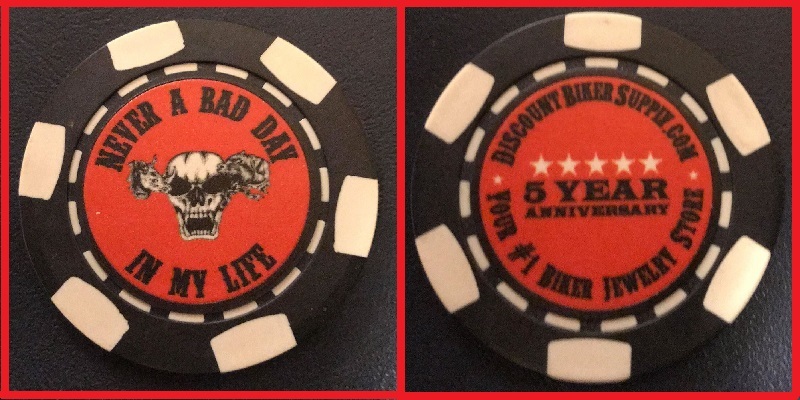 So they agreed that this would be a great way to celebrate! 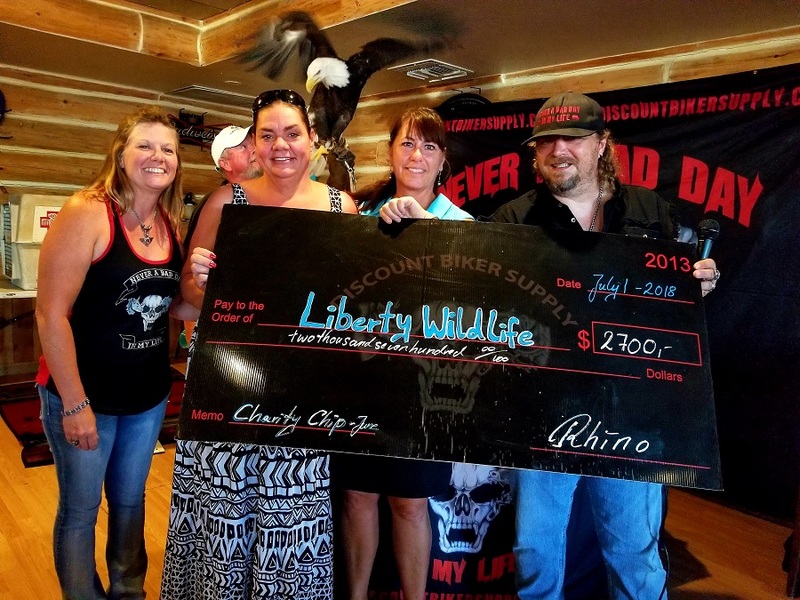 Rhino spoke to several local business owners to get their feedback on the idea and received positive responses. 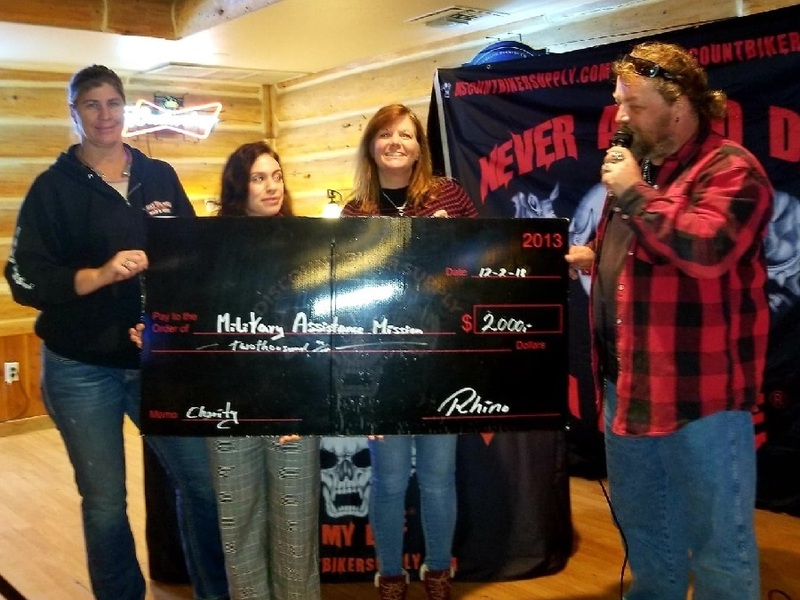 Harry and Kelly of Keene Auto Glass pledged that for every insurance approved glass replacement, they would donate $50. 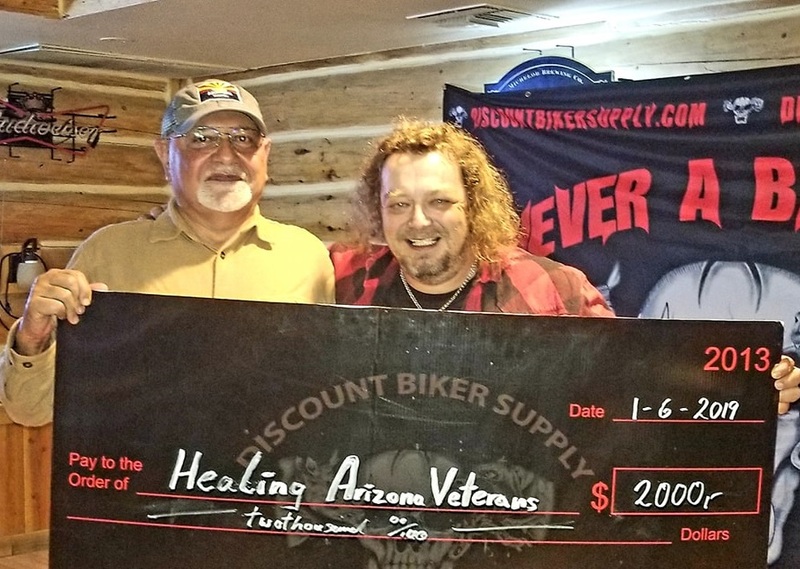 He also spoke to Jason, Henry and Dawn of What the Hell Bar & Grill in Mesa. 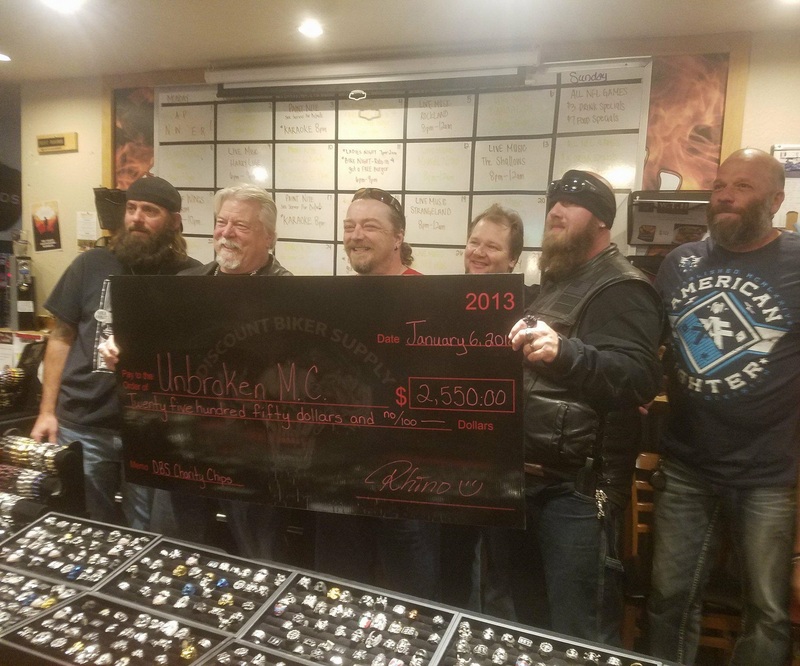 They pledged to choose one menu item every month and give a percentage of the sales to the charity of the month. 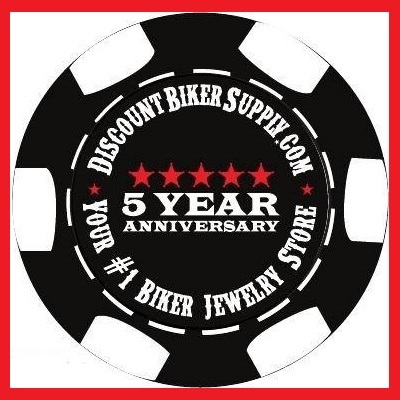 This is greatly appreciated by us at Discount Biker Supply because this is a HUGE commitment on their parts. 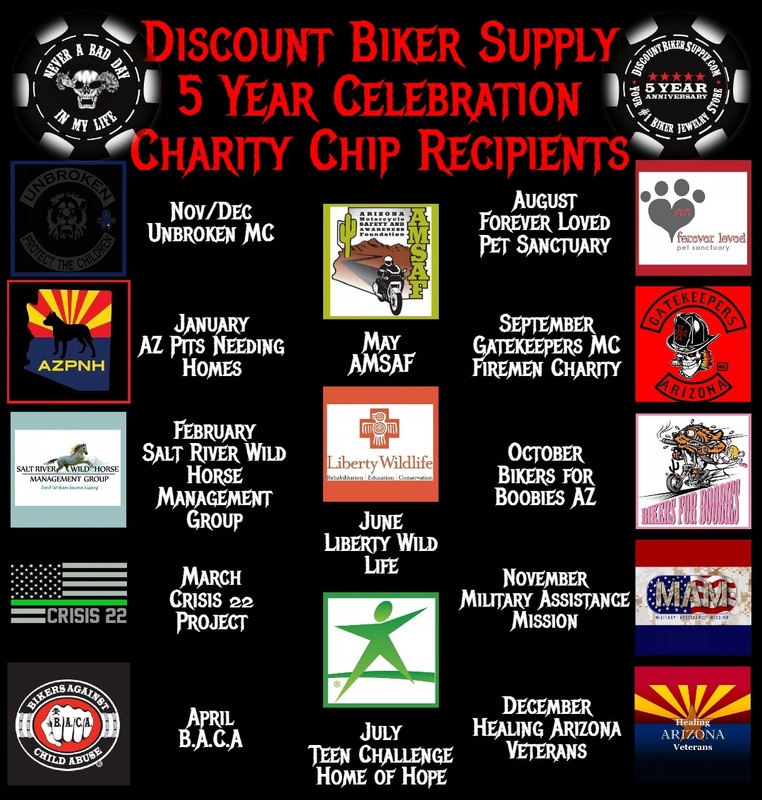 We have selected 13 different charities with a different colored chip each month. 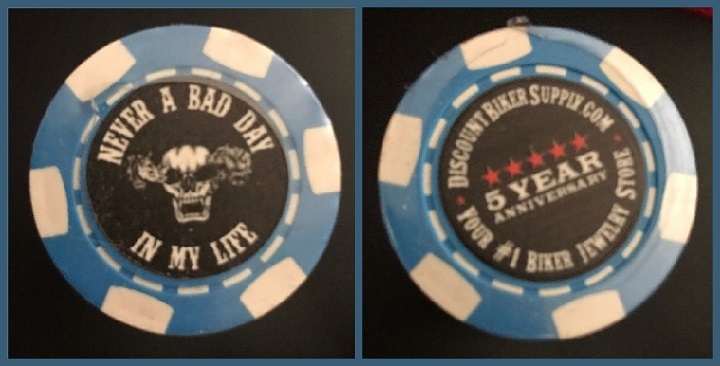 The chips are only $5 each and the entire $5 goes to the charity. 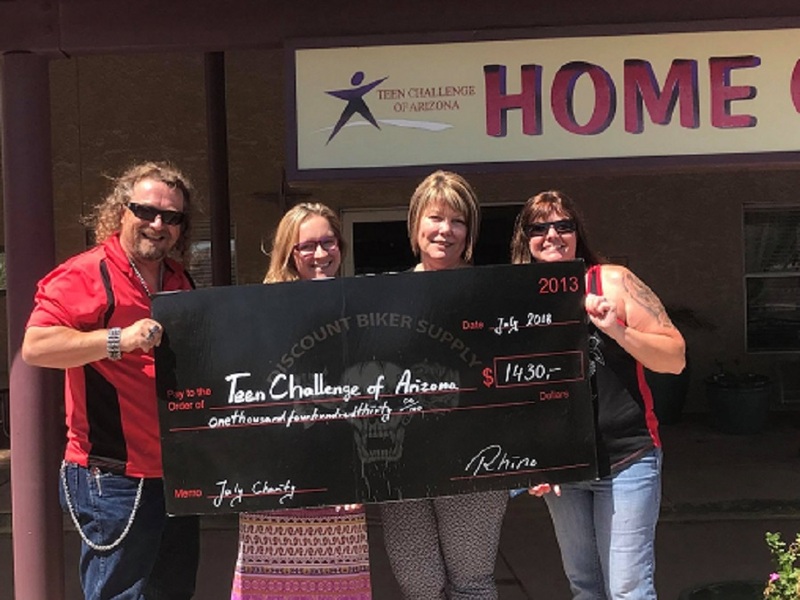 We are blown away by all of the support from our community, our family, and friends. 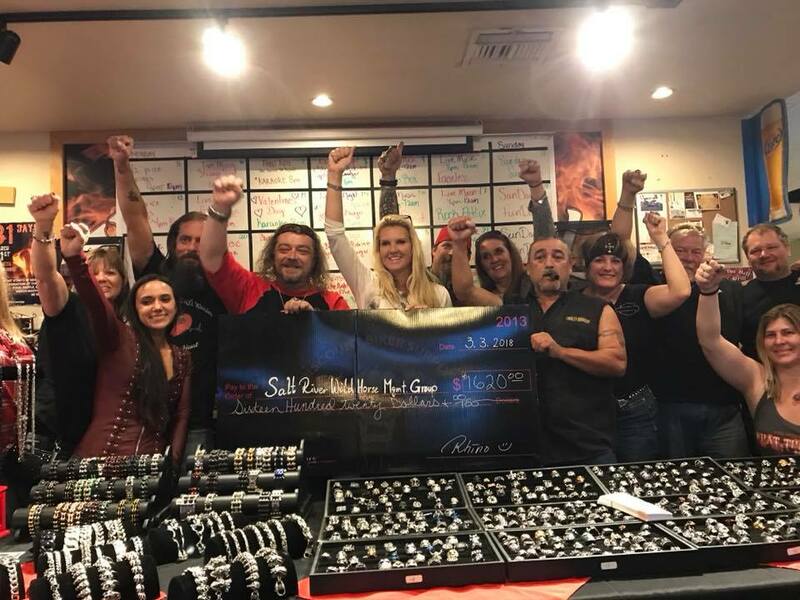 Without all of them, this would not be possible! 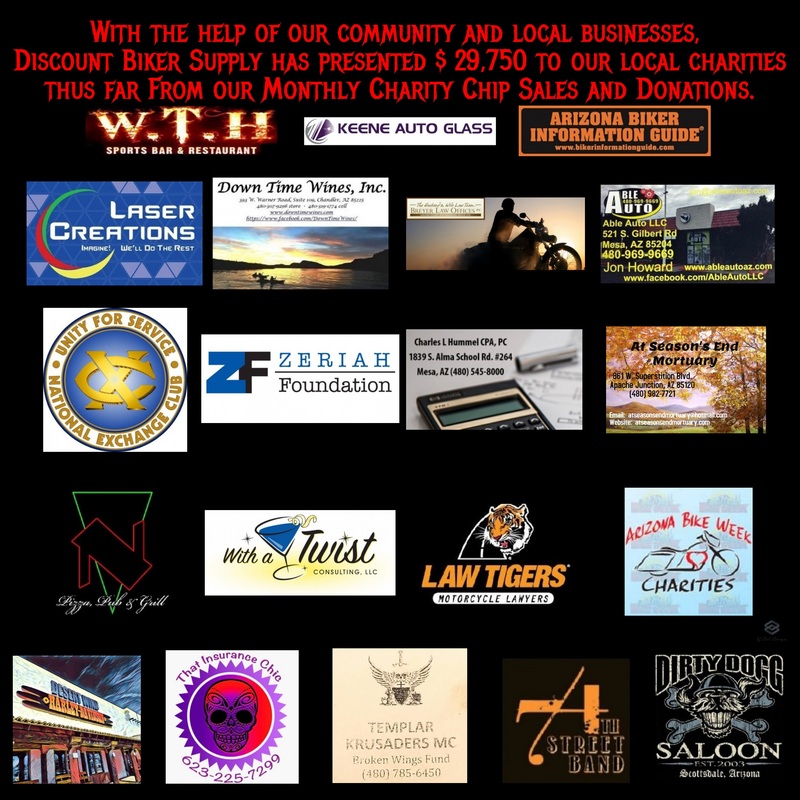 We’ve had some wonderful support from several local companies as well and they have pledged donations towards the cause. 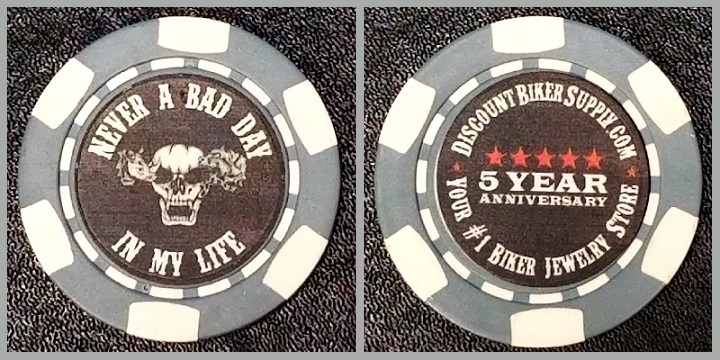 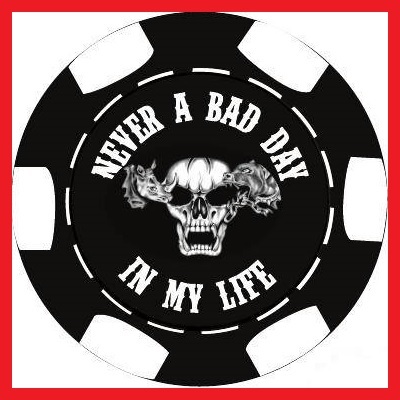 please make it payable to the charity's name and mail it to Discount Biker Supply PO Box 52481 in Mesa AZ 85208. 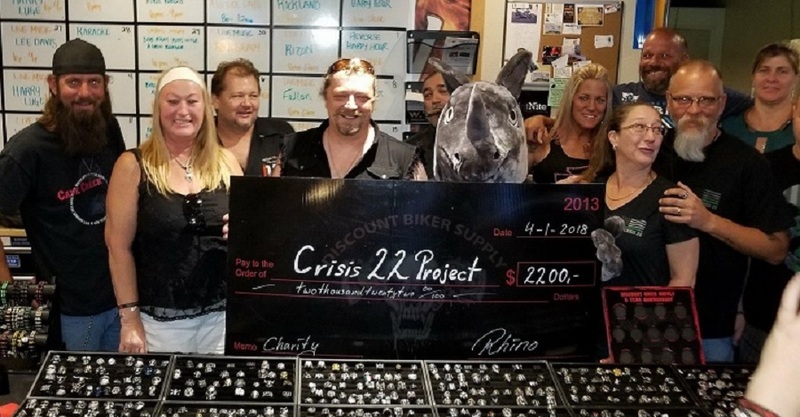 We are also more than happy to pick your donation up personally from you. 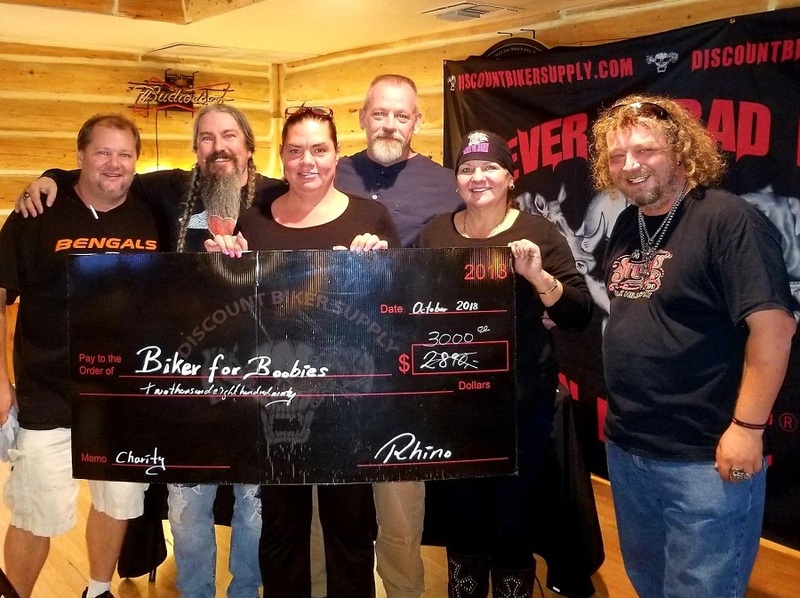 of the donating business and with advertising on our Facebook (almost 16,000 Followers). 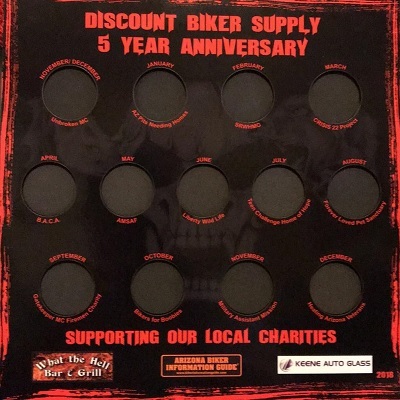 Any help would be greatly appreciated in showing your support towards the charities and bringing our community together. 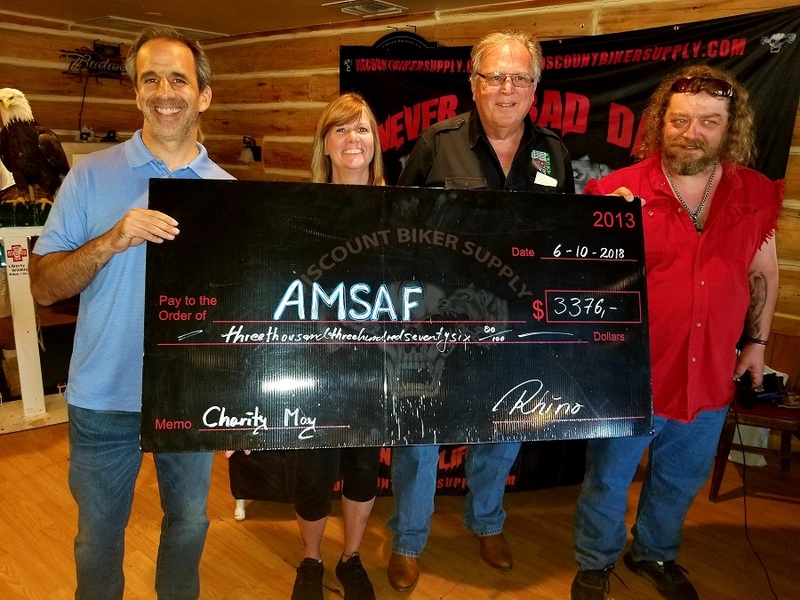 Thank you for considering helping our community and local charities! 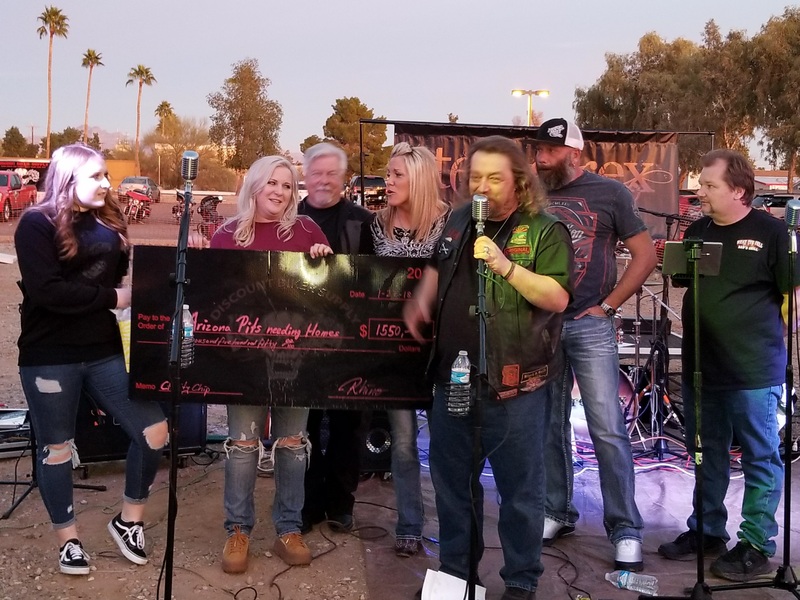 Zeriah Foundation, Chandler Exchange Club, At Season's End Mortuary. 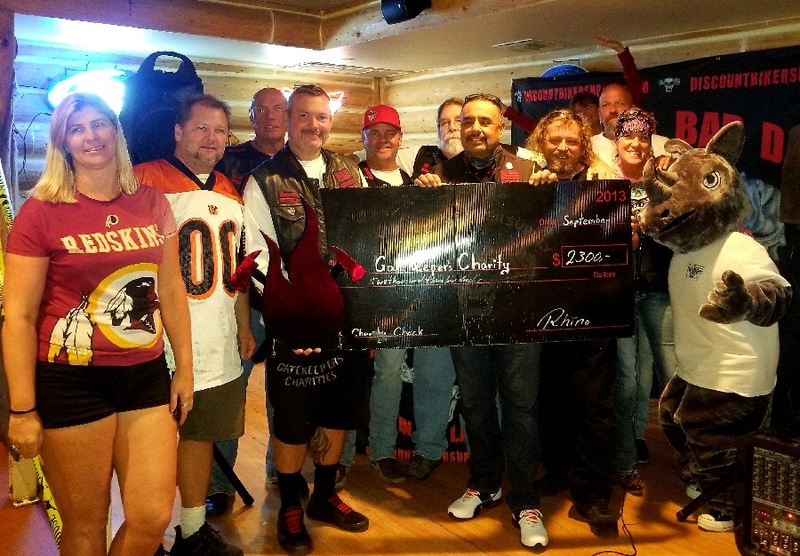 Templar Krusaders MC, Kage & the 74th Street Band, Able Auto, That Insurance Chic and Desert Wind H-D!